Discussion in 'Official Release' started by Chief, Oct 25, 2016. The Version 8.332.16 of COC is supported and will be stable. 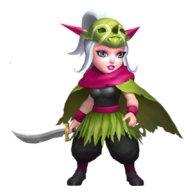 Saving bugs for Troops, Spells and Buildings are fixed. Fixed the loading screen when creating a clan. Precedent, Starrloord, AnnonZerp and 28 others like this. cryptonclone and gwkim7575 like this. 7.20 is now released, it's now out of beta stage. Can you give me the source, rather people (donator) can help. Yes we actually thought that donators should have something in returns to their kindly support to ucs! Thanks! this kind of feedback keep us motivated! Agente47, antz and daivid2000 like this. Any date for public release? Any date for public release ? There is no set date for public release at the moment maybe after 7.30 is released. I have fixed the issue. The file was corrupted during upload at first re-download files please. Just an FYI, even though UCS is out of its "beta" stage doesn't mean it will be absolutely perfect expect to see bugs once in awhile and in the case you do find one please report is ASAP so we can fix it up. Can you please describe what you did to get the crashing or bugs? That would really help me & the devs fix it up. Does this version work with the latest COC version? Or is it one version behind?